At the moment the BMW i8 is in a class of its own. The closest things it has to rivals would be the hybrid supercar trio of the McLaren P1, Ferrari LaFerrari and the Porsche 918. However, the cheapest car of that trio is the 918 and it’s pushing seven figures. The i8 cost no more than a competitive Porsche 911 but couldn’t be more different in style of philosophy. So will the i8 sit comfortably forever in a class by itself? Only until the Acura NSX is released. Based on a similar philosophy; mid-engined, gas-powered engine with the aid of electric motors and all-wheel drive, the NSX should be the only true competitor to the BMW i8. While the overall style of the cars are quite similar, the details differ quite a bit. Whereas the i8 uses a turbocharged, three-cylinder engine, the NSX will use a twin-turbo, 3.5 liter V6. Both use electric motors to make the cars AWD, using a combination of one electric motor to aid the gas engine and more motors to power the front wheels. However, the i8 only uses one electric motor up front for both wheels, whereas the NSX uses one for each wheel. 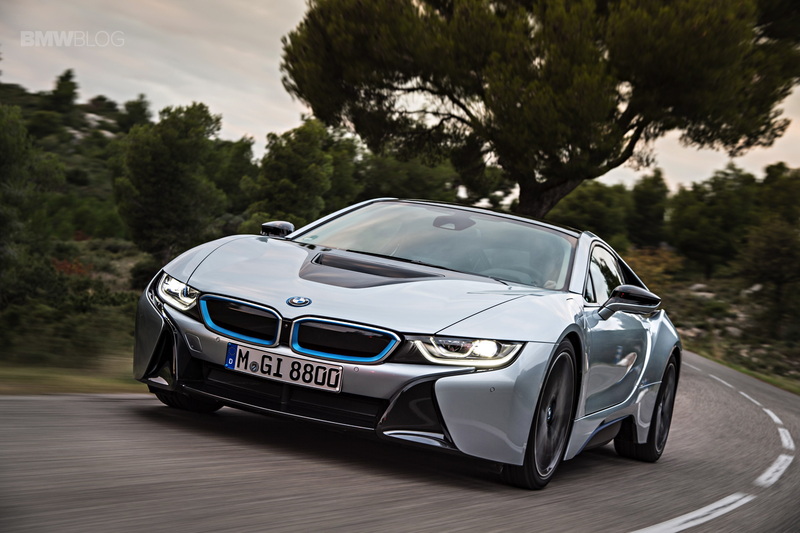 The i8 uses a standard 6-Speed automatic but the NSX uses an 8-Speed, dual-clutch auto. Both cars are ultra lightweight utilizing carbon fiber and aluminum extensively. The NSX means business, as the benchmark for it during development was mainly the Ferrari 458 Italia — which is considered by many to be the greatest mid-engine sports car of all time. So, the bar is pretty high over at Acura. The first gen NSX shocked the world and sent Ferrari scrambling back to the drawing board, so imagine what this one will be like considering Acura is set to make this new NSX better in every way. They even want to beat the 458’s pound-per-horsepower ratio of 6 lbs/hp. Now, I love the BMW i8. I think it’s the most important, innovative and advanced car to debut in a very long time. I also think it’s the greatest concept car of all time because the final products looks almost identical to the jaw-dropping concept. 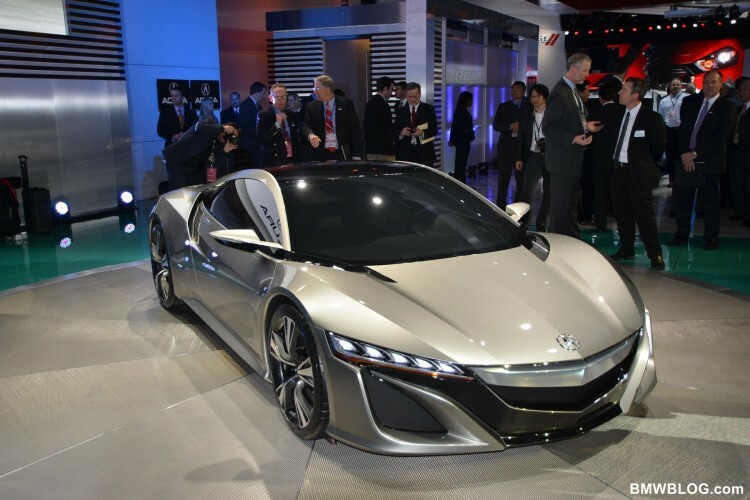 However, I fear for it when the new NSX is released because it will be vicious. Any car that takes aim at the 458 means serious business and knowing how well Honda did the first time around, I don’t see this new car being any different. This is a competition all gearheads are waiting for — Two hybrid supercars, from very different yet very prestigious automakers, dialing it out for top trumps. Get excited people because this is going to be fun.